Probiotics can improve all kinds of conditions from gastrointestinal issues to low energy levels. While the right probiotics can help prevent illness and help you live a healthier and happier life, it's important to understand that the bacteria in any supplement you take has to be especially specific to your problem. Different strains of probiotics will treat different conditions, which is why it's so important to choose a probiotic that contains multiple strains of bacteria. Probiotics have been used in multiple studies that have shown their effectiveness in treating various conditions. Research has shown that probiotics are effective in keeping harmful bacteria and pathogens at bay, they can help aid in digestion, improve nutrient absorption and provide support for the immune system. People who have allergies may even find that taking a probiotic reduces or eliminates their reaction to certain foods. This is mostly because an overactive immune system can cause your body to treat virtually every foreign substance as a threat. When you reduce an overactive immune system response, your body relaxes and becomes more efficient. They may also help reduce inflammation, which can lead to all sorts of issues. Getting your probiotics from a quality supplement is a smart choice since this reduces the chance of ingesting additional sugar that is often found in yogurt and other probiotic-friendly foods. Since you're likely not getting a degree in biology, it's unlikely you're going to be able to identify the exact strain of bacteria that you need. When you choose a probiotic from a reputable company in a supplement that contains multiple strains, you'll be better able to target whatever issue ails you. Don't let the high number of bacteria on the bottle deter you. What you really need is a supplement that contains at least eight different strains of bacteria. The most important strains include species of Lactobacillus and Bifidobacteria. If your supplement has those two strains, then you know you have the most common strains covered. It's also important to choose strains that are tough enough to maintain resistance against acid and bile. Probiotics help support your mental and physical health. Many people are surprised to learn that bacteria can help you maintain a more active and better-functioning brain. However, it's a fact that's continually being proven by new research. The truth is that what happens in your gut affects your brain. When you have an unbalanced microbiome, your health, mood and brain function will also suffer. Gut bacteria make a compound known as neuropeptides, and these little compounds directly affect your brain. You can also take probiotics while taking antibiotics, and this can help you avoid many of the damaging effects of antibiotics. Certain inflammatory bowel diseases can be treated effectively with the right probiotics. Specifically, ulcerative colitis and irritable bowel syndrome show a decrease in negative symptoms when probiotics are consumed. Liver disease and hepatic encephalopathy may also be treated through the use of probiotics. Perhaps most importantly, probiotics can also prevent or reduce the occurrence and severity of the cold or flu. For women, they are also useful for treating vaginal yeast infections and urinary tract infections. Research suggests that many strains of probiotics don't live long. 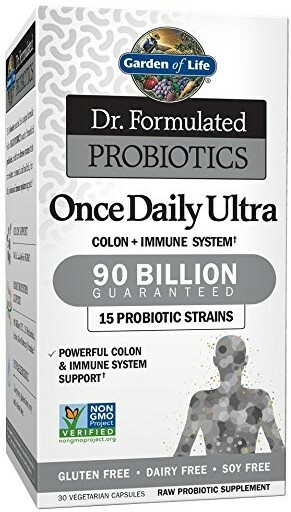 In a perfect world, we would get all of the probiotics we need from our food and our systems would have a constant supply of these beneficial buggers. Nature has a way of providing exactly what we need based on the area that we live in, but with human's ability to traverse the globe within hours many people find that food doesn't provide everything we need. When you obtain probiotics through your food, it doesn't matter when you eat. You'll get the benefits of the food-based probiotics no matter the hour of the day. When taking supplements, you should aim to take them with your meal. In fact, research suggests that you could benefit from taking them in the middle of your meal. While it's still not the same as getting your probiotics from a food-source, taking your probiotics with food will help you process the antibiotics more efficiently. There isn't significant research to evaluate the safety of probiotic supplementation, but this is mainly because it's generally known that probiotics are generally safe. When side effects are reported, they are mild and don't generally cause problems. The thing about probiotics is that they are either alive and doing their job or they are dead and will simply move through your system. The most common side effects are gas, bloating and in extreme conditions, they could cause an infection. However, this generally is only an issue with people who have serious immune system disorders. It's also possible that probiotics could cause too much stimulation of the immune system, which could result in allergy-like symptoms. Before you get on the probiotic bandwagon, it's important to understand how probiotics work. Harmful pathogens love simple sugars, so it's important to start eating healthy before you begin to use probiotics. Otherwise, your body may end up providing nutrition for the bad pathogens and helping them survive. The keto diet is the perfect diet to take probiotics. Since most simple sugars are eliminated and the diet focuses on healthy fats and protein as the main energy source, you'll be able to more effectively eliminate harmful bacteria in your system. This is probably the best product you can get without a prescription. 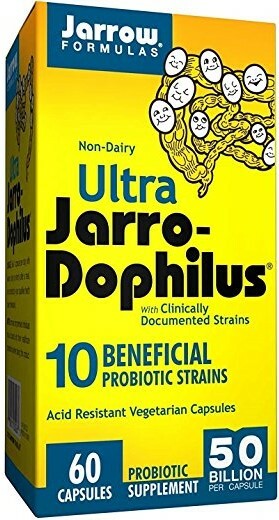 The probiotics in this supplement are simply exceptional. While it only contains eight strains, the strains are optimized to ensure effective delivery. Many supplements are out of your system as soon as you stop taking them. This supplement will remain active in your system for up to a month after you stop taking them. 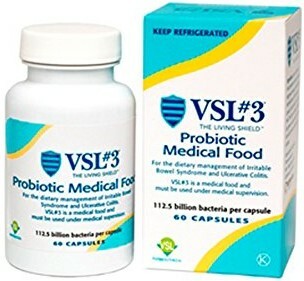 When it comes to supplementing with a clinically proven supplement, you can't get much better than VSL. For optimal absorption, it also contains a minimal amount of carbohydrates that act as an agent to ensure delivery. Includes the most important strains for your diet. Includes 112.5 billion live probiotics. Shipped in a styrofoam and cooled container. Must be refrigerated or the bacteria will die off. However, the company states it ships the product with an ice pack. Order the overnight package to ensure the product arrives with an ice pack. The Garden of Life supplement has been formulated by a doctor and you only need to take the product once daily for optimal absorption. The product needs to be stored in an environment that is lower than 71 degrees Fahrenheit, so refrigeration is typically necessary. With 90 billion bacteria and 10 different strains per dose, you'll get a wide range of probiotics that are designed to treat a variety of issues. The product also comes with probiotic fiber to ensure that the product is able to survive and get delivered efficiently to your gut. The capsule is vegetarian and free of soy and gluten. 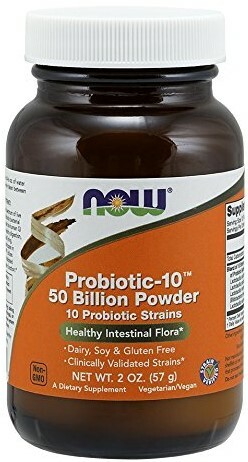 Uses 15 probiotic strains to support a range of conditions. Includes 90 billion strains of bacteria. Contains organic fiber to help bacteria survive more effectively. Must remain refrigerated so if the product arrives without an ice pack, you need to send it back. However, the company does state it ships with an ice pack. Jarrow Formulas offers a well-respected brand that consistently produces quality supplements. This particular supplement offers a dose of 50 billion probiotic organisms delivered in a vegetarian capsule. The product contains 10 different strains from three different genera. One nice factor in this supplement is that the strains included are often different from other brands. This means you can successfully combine this probiotic with another probiotic. Just check the strains on the back of this product and any other product you plan to combine. The unit ships in a cooled container, but you'll have to purchase the three-pack to qualify. Contains 10 different strains from three genera. Designed to survive acid and bile. Shipped in a cool container with a reusable ice pack. Must buy three packs to get the item shipped in a cooled container. In terms of pure probiotics and affordability, this option gives you the best value. The product contains 50 billion bacteria from 10 probiotic strains. It also includes more dietary fiber than any other supplement, which is crucial to ensure proper absorption into the body. The bacterial strains used in the formulation have been validated through clinical studies to ensure that they support the immune system in an effective manner. Since this is a powder, it doesn't need to be refrigerated. It is also completely tasteless, and you can add this to your favorite beverage. Includes 50 billion live bacteria cultures. Powder form doesn't need to be refrigerated, but it's not a bad idea to refrigerate the product. Doesn't ship cold, but the powder doesn't need to be maintained in a temperature-controlled environment. One of the issues with probiotics is that people will take them to help support an active immune system, reduce allergies and prevent disease. However, enzymes also play a crucial role in the protection of your body. For that reason, this supplement offers the best pf both worlds. You'll get a supplement that is designed to provide you with an optimal amount of probiotics and the most important enzymes to help with digestive issues. The product does not need to be refrigerated, and it can even be taken on an empty stomach. There are no additives or fillers in this product and it's from a reliable company. Provides additional enzyme support to support improved digestion. Includes 400 million active cultures per dose or 1.2 billion daily when taken as directed. Uses L acidophilus DDS-1, which resists acid and bile. Not refrigerated, but this product doesn't need refrigeration. Finding a probiotic that works for your system may take a bit of trial and error. You can also compare the active cultures in various supplements to create a cocktail of supplements that address a wide range of products. If you choose products not listed in this review, then you need to verify that the product doesn't need to be refrigerated. If it does require refrigeration, check to see that the seller will ship the product in a chilled container.